The SMB Innovation Summit is a key event for SAP Business One Partners in 2019. 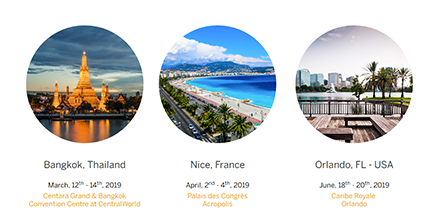 In 3 global locations (Bangkok, Nice and Orlando), SAP partners from small and medium-sized businesses will have the opportunity to keep up with the latest developments, get together and network. We look forward to a lively exchange with SAP and SAP Partners.